700,000 small-scale farmers in Kenya earn a living from coffee production. The sector contributes to 1% to the national GDP and 8% of the total agricultural export earnings. But the challenges the sector faces are big: low productivity, high cost of production, weak farmer groups, climate change, systemic poverty, aging coffee trees and farmers, social inequity. On July 31, 2018, Kenya’s coffee sector launched the Kenya Coffee Platform. The purpose of the platform is to allow all coffee stakeholders to discuss freely the issues affecting the coffee sector locally. Hon Mwangi Kiunjuri, EGH, Cabinet Secretary Ministry of Agriculture, Livestock, Fisheries and Irrigation in Kenya. “It is my expectation that the Forum will be the catalyst to the industry to transform the coffee sector. I challenge you to make it a platform for constructive industry dialogue where all players are welcome and encouraged to make their voice count.” Hon. Mwangi Kiunjuri, Cabinet Secretary of the Ministry of Agriculture, Livestock, Fisheries and Irrigation in Kenya. 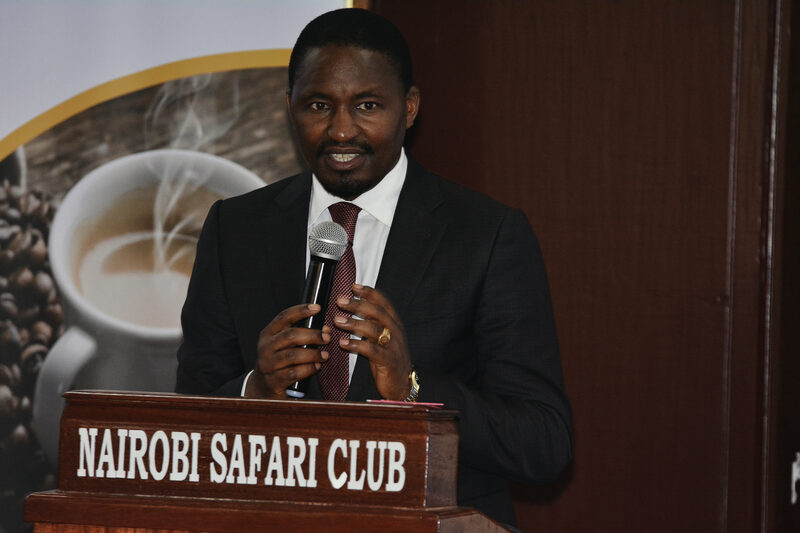 “[The] creation of the Kenya Coffee Platform is a significant milestone. My sincere hope is that the activities of the platform will transform and develop Kenya’s coffee sector. Giving it a stronger comparative advantage in the international markets.” Martine Van Hoogstraten, Head of Trade and Development Cooperation, Embassy of the Kingdom of the Netherlands. Since 2016, African Fine Coffee Association (AFCA), Solidaridad, the Sector Partnership Program of Rainforest Alliance (recently merged with UTZ) and Global Coffee Platform (GCP), have been working towards creating an inclusive and participatory platform. This is where supply chain actors, farmers, farmer organizations, sector organizations, civil society organizations, private sector, governments, standards, development partners and others can get together to revive the once-thriving coffee industry in Kenya. 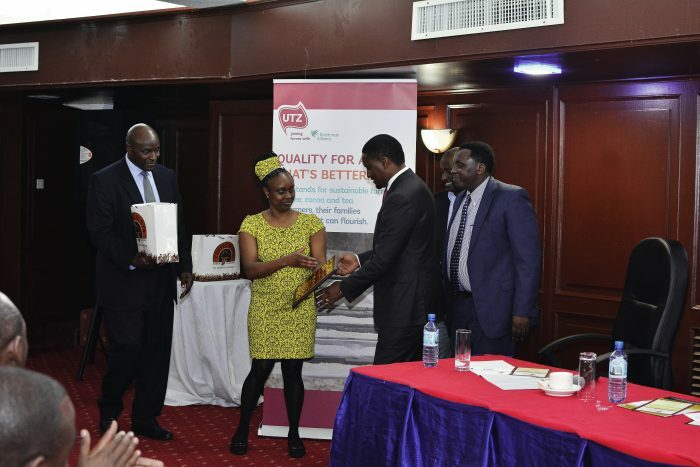 The Kenya Coffee Platform has identified different priority issues such as: increasing productivity, tackling climate change, improving extension and training materials, and including women and youth. All of these are crucial for the future of the coffee sector. The Rainforest Alliance is proud to support The Kenya Coffee Platform in their efforts of achieving these goals. “We believe that only when all stakeholders are working together can we drive sector change and sustainability. The challenges and opportunities ahead of us are huge – no one can solve that alone. However, if we work together – everyone, and most importantly the coffee farmer, can benefit from coffee production, processing, trading and consumption in Kenya. The Kenya Coffee Platform is an excellent opportunity to put this ambition on sector wide collaboration into practice.” Christiane Hornikel, Global theme lead productivity and farmer groups strengthening, Rainforest Alliance – UTZ program.